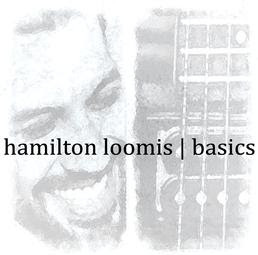 I just had the opportunity to review the most recent release, Basics, from Hamilton Loomis and it's really great! Opening with blues rocker, Sugar Baby, bassist, Sabrina LaField also takes the mic. With just a bit of swish in the tail this is a snappy rocker with Loomis on harp and lead guitar joined by Armando Aussenac on drums. Getting into a super funky groove, If I Would've, Loomis is back up front on vocal, guitar and harp creating a purely infectious track. His electrifying guitar riffs and bass lines are tight. Super! With an easy sway, Candles and Wine has just the right feel featuring tasty guitar riffs and cool vocal backing by Aussenac, Fabian Hernandez and Chris Eger. Ain't What It Ain't is a solid rocker with cool vocal blending but what really sets this track apart is super harp and hot slide riffs from Eger. Bluesy ballad, Breaking Down, is pure Loomis and it's a thread that you can trace from release to release. Rich composition, super vocals and warm interwoven instrumentation with Loomis' certain hand on guitar soloing makes this one strong track. a really hot sax solo by Fabian Hernandez bouncing back and forth with Loomis on lead guitar coupled with strong vocals makes Looking Into a Dream another of the top tracks on the release. Funky, Cloudy Day has really nicely arranged instrumentation, punchy sax work, great rhythm and vocals. Another super Loomis creation. Quiet ballad, Prayer, has strong R&B bones, featuring Loomis' beautiful lead vocals with rich backing vocals and a slick melodic guitar solo. Very nice. Wrapping the release is Funky Little Brother with Sarah Kimberly on keys and trumpet, Reagan Kimberly on drums, Austin Morris on guitar and Daniel Holder on bass with Loomis on lead vocal and guitar and Alex Mckown, Zach Person and Michael Bryan-Harris on guitars. Almost getting into Sly world, this is a great funky rocker and a super closer for a super release. Excellent!